The biggest, baddest, hardest RPG ever made. A friend spend two years playing itwithout following the main story and he has still not finished. A gem coming to us from 1996. The second game on the elder scrolls series, before Oblivion, before morrowind. Let me just say that in its world morrowind was but a small island on the map.Yea...that big. 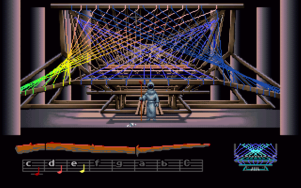 One of the first Lucas Arts advenure games. A fairytale were riddles are solved with music and fantasy has no limits. It was rather small compared to games of its age but yet it was extremely enjoyable. Highly recommended. My personal favorite sierra adventure series. Mystery, supernatural and horror coming from the Jane Jensen's mind. Carefully woven stories mixing historical facts with myths ensure of excellent atmosphere and challenging riddles. Gabriel Knight, the shadow hunter, is solving mysteries keeps the worlds safe from evils. 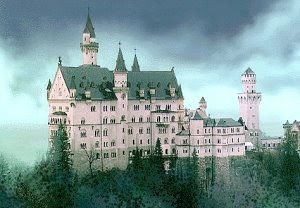 Me favorite is the second one, The Beast Within, were he hunts werewolves in old castles in Germany. 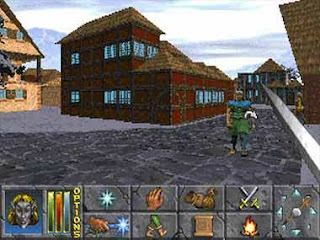 This 1995 RPG managed to combine technology with magic to create a unique atmosphere and gameplay. It was played, both, in 3rd and 1st person perspective. 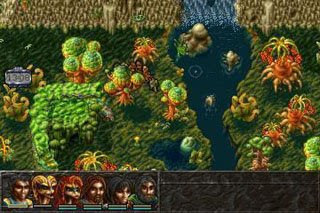 It had a big extra terestrial game world full of dungeons and puzzles featuring a deep storyline. My favourite strategy game on my 8086 computer. When it first came out for the amiga everyone was looking at its gorgeous graphics with the mouth open, drooling. 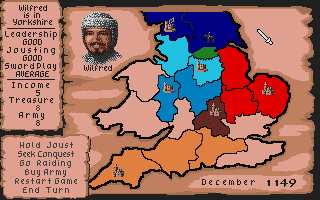 Create your army, save damsels, take part in sword fights and sieges to save England from the evil Normands. I must admit that I still play this game with the same enthusiasm as I did when I was a kid. small story to get you into the game and the map of the world which was essential in order to plan your campaign. If you want to enjoy this you can still can using the fatastic and faithful port Icemark did for Dos using dosbox. I still have not managed to beat the game...but I will some day.